Jay and Marissa Fontanini have been bringing their kids to dance classes at the Patel Conservatory for almost three years. 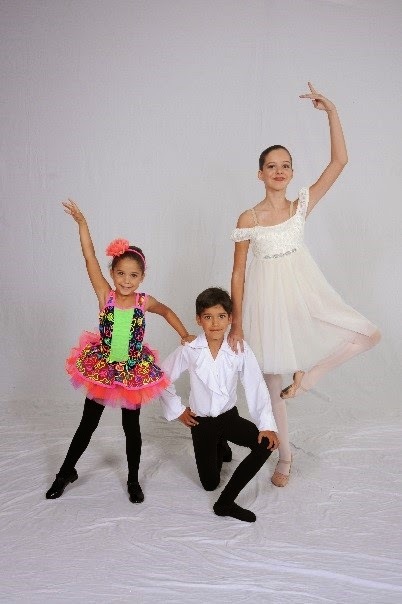 Jay and Marissa say that, in addition to learning how to plié and tendu, their kids are learning lifelong skills like confidence and discipline through their positive experiences in the performing arts. “Our children may not admit it, but without a doubt, what they get most excited about is being challenged to do things they don’t think are possible—only to find themselves reaching new heights,” said Marissa. The Fontanini’s appreciate how the Patel Conservatory makes a difference not only in their kids’ lives in the classrooms and theaters, but also in the lives of thousands of other students throughout the Tampa Bay community. That’s why they decided to become Straz Center donors. “The decision to support the Patel Conservatory was an easy one for us,” said Marissa. For the Fontanini’s, performing arts education provides desperately needed instruction in a rapidly changing world. “The Patel Conservatory enhances the culture of Tampa by giving consistent quality education to aspiring fine arts students. While our kids happen to dance - the convergence of so many performing arts educational outlets in one ‘hub’ makes the Tampa Bay area exceptional,” said Jay. The Fontanini’s invite other Conservatory parents and community members to show their support of arts education by making a pledge. “We’d encourage any parent to think about how much their children can benefit, and consider making a contribution to help extend the reach of the Conservatory into the community,” said Jay. Please join us in supporting arts education at the Patel Conservatory by becoming a Straz Center Member. To make your gift today, clickhere.